What is The Art of Living Longer™? Hi and welcome! I’m Anne and I am a Savvy Senior. Why? Because I know I’m old enough to have a past and young enough to have a future and it doesn’t matter how many years of life experience I have. I’m committed to living life full out and to helping you do the same. Letting go of the stuff that makes us miserable, choosing to feel happy, not crappy, eating whole foods that nourish our physical bodies, remembering to get up and move often, and giving our time to help others are the hallmarks of healthy, happy aging. The Art of Living Longer User Manual for Humans™ offers insight into better living. It is a manual for the upkeep and maintenance required to keep the machine that is our body operating at peak performance for as long as possible. When you buy a vacuum cleaner or toaster-oven, a car or even certain toys, there’s a manual that outlines specifically what needs to be done to keep that machine operating at peak efficiency for the longest possible time. Well, isn’t that what we want from our bodies? To operate at peak efficiency for as long a time as possible? But when we have a baby, it’s just handed to us and we’re supposed to know what to do to keep it healthy! It’s crazy. In times gone by (and certain other cultures) there’s an extended family within a tribe/village/community that has the wisdom and raises the children. But in today’s ‘modern’ experience, new parents are usually alone and wondering what the heck to do! Where’s the manual? We are ALL homo-sapiens, honed by 200,000 years of evolution into a sophisticated bio-chemical feedback system housed in an electro-magnetic field. Don’t believe me? What happens if a person’s heart stops? It is shocked back to life with a defibrillator, kind of the same way a dead car battery is brought back by the electrical charge of another battery. The User Manual lectures and blogs offer insight and the science behind what works and what doesn’t work in the quest for health. They will help you understand why it’s critically important to eat clean, wholesome food, move your body A LOT and be consciously aware what and how you think about the world around you. The Art of Living Longer™ is about learning how to honor your body and nourish it so it is able to perform according to its remarkable design. Think about the work your bones and muscles do. When deprived of the necessary nutrition that fuels them, it’s not surprising that you get aches, pains, muscle and ligament tears, arthritis and so on. The Art of Living Longer™ is about honoring yourself and your connections to others and to nature. Quantum Physics has proven time and again that everything is connected. Now is the time for us to reconnect socially – and I don’t mean social networking like Facebook, Instagram or Twitter! We humans require human contact to be emotionally healthy. And, just as importantly, we require a connection to the land too. There’s no one comprehensive place to make sense of all the hype out there about food, diets, health and wellness. Fat is bad for you. No! Fat is good for you! Nuts are fattening. Stay away! Nuts are one of the keys to longevity! It’s so confusing and doctors offer little help. In allopathic medicine, which is what we also refer to Western Medicine, the goal is to eliminate the problem – typically with a pharmaceutical solution. Functional or Integrative doctors practice a different kind of medicine. These doctors are like detectives, looking to figure out the root cause of why you have a problem. For example, I was a gym rat for decades. Then, in my 50’s I started having pain when I exercised or exerted myself in any way. The pain was accompanied by exhaustion. More than one allopathic doctor had no answer and, in the same breath, would tell me my thyroid medication was doing its job and all was well. And I felt awful and I was depressed and having panic attacks. Anti-depressants were prescribed and therapy suggested. Today I know that these symptoms were all due to my auto-immune thyroid condition because now that I’m under the care of a functional medicine M.D., I no longer have muscle pain, exhaustion or debilitating depression. In addition to extensive blood testing and interpreting of those tests, so much of my thyroid regulation was a result of lifestyle choices I made. From fundamentally changing the way I eat (a process that took about three years!) to living my life in a way such that I do whatever I can to avoid stress, I make choices that support the health of the machine that is my body. I learned how to say no when asked to do something that was going to create a problem for me. I will say no to my kids’ requests for baby-sitting, if it really is not convenient for me. I no longer turn my world inside out in order to accommodate someone else’s problems. I’m not selfish either. I help people all the time. BUT, and this is IMPORTANT, I love myself more. I have learned that taking care of myself actually makes me more available to my loved ones, not less. When presented with someone else’s problem for which I have no control, I have learned to love and use the expression, “Not my monkey, not my circus!” More importantly, the world will get on if I (sometimes) put my own needs before another’s. It’s self-preservation and it’s a skill that most of us lack. The User Manual for Human Beings – Instant Insight into Better Living! With all of this in mind, I wrote The Art of Living Longer – A User Manual for Human Beings™ so that others can get a shortcut to the sound, reasonable, impartial research about nutrition, exercise and emotional health that is based on our species and what it has evolved to need to support it. We simply can not and must not put aside the needs of our species aside because of the demands of modern living that has caused us to eat and act in ways over only the past 150 years that simply do not support healthy humans. There is so much more to maximizing our human potential. It is about embracing this adventure and understanding that the clock is ticking. How else can you leave our mark in the world? What else can you contribute? Facing our mortality is a call to wake up and live fully in the time we have. Each day… each breath… is a precious reminder of the joy that is waiting for us. It will take some work to clear the cobwebs of your life and make peace with your demons. This is the work of the conscious elder. Looking back thoughtfully, with insight, as you reframe your dramas and traumas into the events that formed and informed your very nature. Embrace the idea that you’re old enough to have a past and young enough to have a future and STAY young enough to have a meaningful and happy future. The Art of Living Longer A User Manual for Human Beings™ focuses on the principles of aging consciously as well as the current research, science, tips and tools on how to achieve a healthy, happy, extended lifespan. This global movement took hold in the 1980’s with the publication of Zalman Schechter-Shalome’s ground-breaking book, “From Aging to Saging: A Profound New Vision of Growing Older” that outlined a new paradigm for seniors… one that includes a recognition that this stage of life offers untold benefits and opportunities to move from being considered ‘old’ to being recognized as ‘elders’. This single shift empowers us to choose to use this time to live purposefully, bringing meaning and purpose to daily activities. 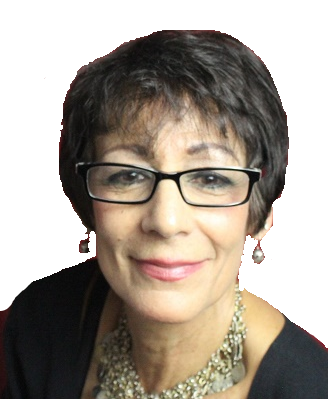 Click Here for more on Conscious Aging. These are areas around the world where centenarians are common and the average lifespan is years longer than ours here in the United States. Researcher Dan Buettner made a career studying characteristics of the people around the world who live the longest. 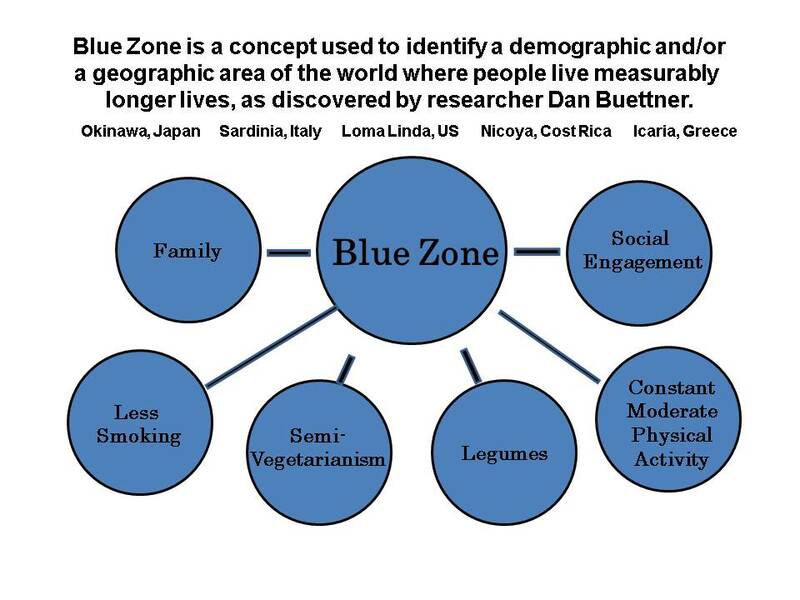 He calls these specific areas of the globe Blue Zones. Eat well, exercise and have meaningful social connections. Savvy Senior classes and lifestyle workshops offer information, tools and tips to help make this your lifestyle… and the computer is a vital part of that equation. You will also receive real solutions to the new territory of aging, along with the information we seniors need to help us stay healthy and strong so we can enjoy our future. The third act of your life is not destined to be a downward spiral into old age, but rather an upward arc of growth & expansion. And, like anything else, it takes a certain amount of effort – of intention – to create the life you want. In The Art of Living Longer™, you will learn the latest science, research, tips and tools to help you create a vibrant third act of life. Along with the research, we cover the subject of conscious aging, something critical to our emotional, physical and spiritual health. 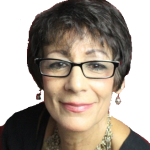 Conscious Aging includes many aspects of wellness in our pursuit of vital aging. A key component of that is mindfulness. Mindfulness keeps us present, right here, right now. The past is a memory. The future is a promise. The only thing that is real is the here and now. Breathe it in. Take notice of the sounds and smells around you. Feel your feet on the ground or your body on the bed or chair. Keep breathing. Click here and read about Decluttering Your Mind. The Art of Living Longer™ is also about learning from the cultures in the world that have the greatest longevity. Click Here for a short presentation on Blue Zones by Anne Goldberg, filmed at Independence Hall in Wilton Manors on April 6, 2016. Be a Savvy Senior. Take a lesson from the Blue Zones and make the changes in your lifestyle that will usher in a feeling of being healthy and alive. Follow us on Facebook and keep in touch with The Art of Living Longer™ community. You want to live a long, healthy and happy life. Of course you do! Everyone does. What if I were to tell you that your lifestyle choices are more important to your health than your heredity, and that the development of disease (or lack thereof) is very much in your control? Would you believe me? The latest research shows just that. The study of epigenetics can be loosely summarized as ‘lifestyle trumps genetics’. Think about that. The lifestyle choices you make can activate or bypass genetic codes for cancer, diabetes, heart disease and more. Fried vs baked food? Sedentary vs active lifestyle? Organic vs chemically treated food? Add to that the wisdom found in the Blue Zones research that summarizes the wisdom found in five places on the planet where people simply live longer than we do. Not only do they live longer… they are generally healthier too. Now, when we add in the science of neuroplasticity that has shown that any person with reasonable cognitive functioning can and will create new memories, i.e. learn new things is a thrilling predictor of our future. Of course, learning will happen providing two things occur.